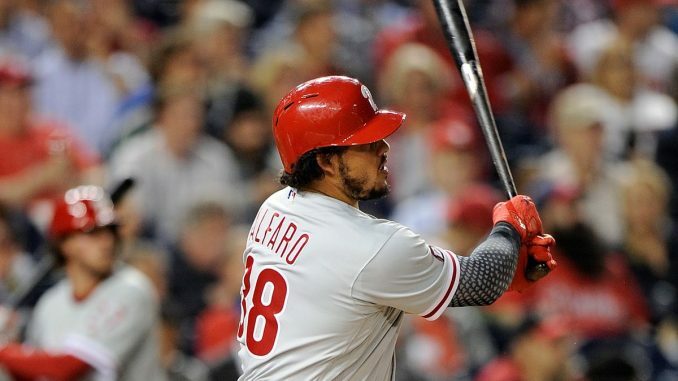 Philadelphia Phillies sent catcher Jorge Alfaro to the Miami Marlins in the deal that saw All-Star J.T. Realmuto go the other way. Alfaro has not broken out in the Majors quite like Philadelphia may have hoped, but he was a prospect list stalwart, ranking as high as 31 on Baseball Prospectus’ list pre-2015. 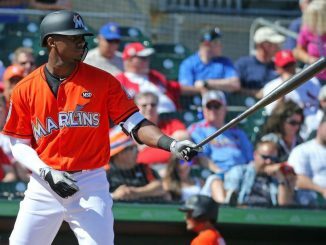 He will go straight onto Miami’s Major League roster as the Marlins continue their rebuild after trading away Christian Yelich, Giancarlo Stanton and Marcell Ozuna last winter. There are signs that Alfaro can reach the ceiling Philadelphia thought he had when they acquired him in the Cole Hamels trade. Baseball Prospectus ranked Alfaro as the fifth best framer in the Majors with 12.3 framing runs. That’s an elite return for a rookie, particularly one with the offensive upside of Alfaro. Realmuto was 71st in framing runs last season with -0.4. It’s only one part of catching, but framing is a part of the game that is all too often undervalued, and one that Alfaro excels at. Alfaro hits the ball hard. Really hard. Baseball Savant had him in the 83rd percentile in hard hit rate and 92nd in exit velocity. Again, it’s not the be all and end all, but it’s something to build on, and Alfaro was subsequently rewarded with .407 slugging percentage in 2018. The upside offensively is there, though it comes with a tonne of swing and miss. Alfaro’s 4.8% walk rate was one the worst in the league. His 36.6% strikeout rate was the worst in the league, striking at a higher percentage than Yoan Moncada, who led the league in strikeouts. Alfaro made good enough contact to have a solid batting average and a .324 on-base percentage. If he can pair that with a bit more pop, he can become one of the better offensive catchers in the league. Even in a disappointing 2018, Alfaro had a 96 wRC+, which was above average for a catcher. It’s not a leap to image Alfaro becoming a .320 OBP, 25 to 30 homer kind of hitter. Paired with a cannon of an arm, great pop time and very good framing, he would be a valuable player for the next competitive Miami Marlins team. 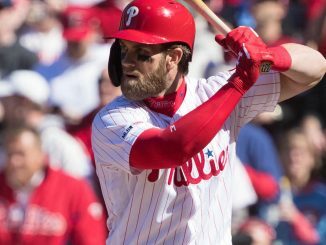 For all the upside and his high ceiling, the issues with his eye and plate discipline were obviously a concern for Philadelphia. His blocking was poor too, ranking as one of the worst in the league by Baseball Prospectus’ blocking runs. Miami are in a position to take a chance on Alfaro right now, though, and have every reason to be optimistic about him. At worst, he’s a solid defender with power and a high Major League floor. 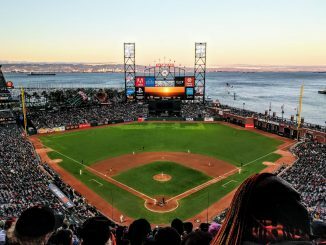 He’s never going to walk a tonne, and his career in the big leagues has been a little disappointing, but there’s plenty of upside – he could yet become one of the best catchers around.